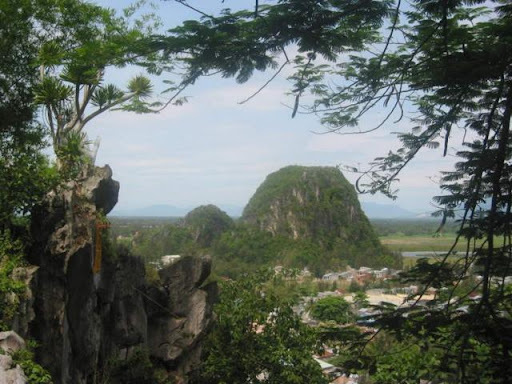 PLACES TO VIST: BaNa Hills,Marble Mountain & marble -carving village named as Hoa Hai,Cham Museum,Hai Van Pass,My Khue Beach,Son Tra Mountain,Casino named as Club99 in Farama Resort ,Han Market,Han River and Son Tra penninsula. PLACES TO EAT: Bún Chả Cá is translated into English - Noodle Soup with fried fishes.It is the special food in Da Nang city. WHAT TO DRINK: The local beer : LARUE BEER. 5.Da Nang city-My Son Holyland Site-Da Nang city :Going by motorbike. You have the flight from Ha Noi,Ho Chi Minh,Da Lat...to Da Nang Airport,on the way to your hotel in Hoi An city,you can stop at Cham Museum ,Marble mountain,My khue beach .You should book the pickup from Da Nang Airport & stop at Cham Museum-Marble mountain-My Khue beach,then go to your hotel.That is great trip,you have much saving-time to see many beautiful places for half day. Including: Car A/C (Van A/C) ,English-speaking driver & mineral water. Not including: English-speaking tour guide,entrance fee,lunch .